In order to view your assessment data in the standards' gradebook, you will need to attach a standard to the item (advanced assessment) question (simple assessment), descriptor (rubric assessment), or + Assessment (gradebook). To attach a standard to an Advanced assessment item, click "Link to Standard" as shown in the image below. (You can add more than one standard to an item in this assessment type). You can view or remove standards that you have attached by selecting "View Linked Standards"and then hovering over the item you would like to remove. Select the trash can to the right of the standard to delete. You can attach a standard to a simple assessment by selecting Link Standard located in the bottom left corner of the text box as shown in the image below. **Only one standard can be attached per question in this type of assessment. The linked standard can be removed by clicking the X to the right of the standard. You can attach a standard to each descriptor in a rubric assessment by selecting Link Standard as shown in the image below. Once your standard is linked, the standard description will populate under the Descriptor Title. **Only one standard can be attached per descriptor in this type of assessment. 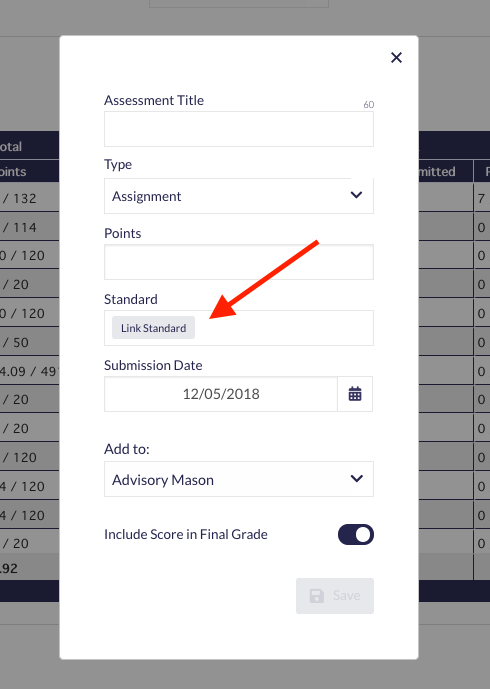 You can attach a standard to a + Assessment by selecting Link Standard located in the bottom left corner of the text box as shown in the image below. **Only one standard can be attached per question in this type of assessment. 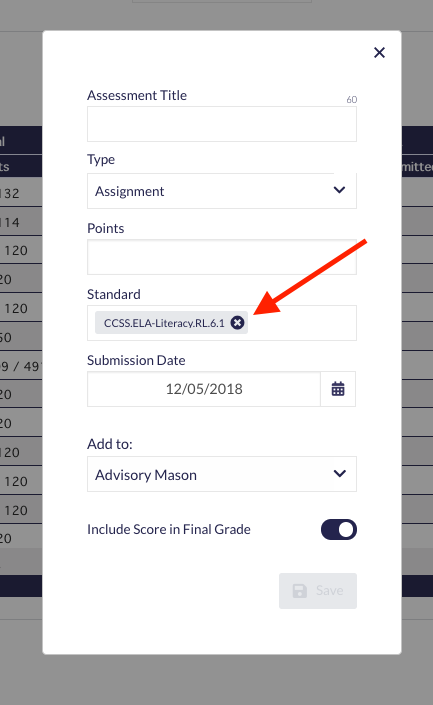 If you would like to remove the standard after the + Assessment has been created and assigned to your class, you will find the editing options by visiting the Assessment module tab and then clicking "Assigned Assessments." Hover over the assessment you would like to remove/change standards and select Edit. This will bring you to the editing screen as shown in the image above.